1) Black Jewel vs ? 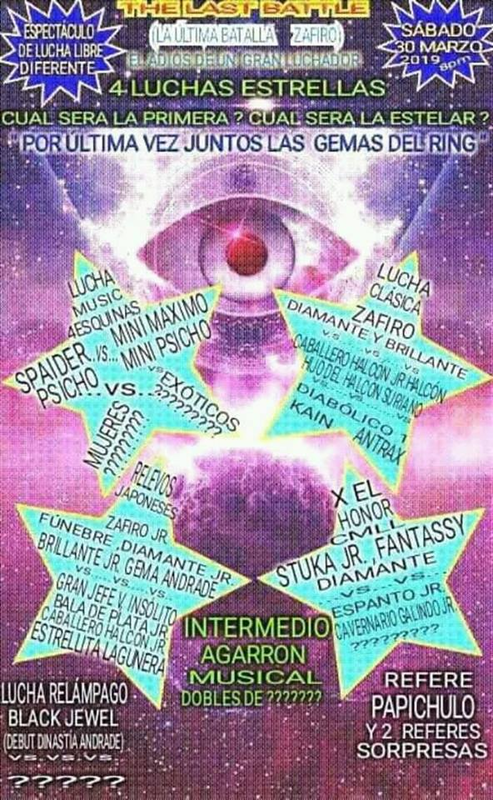 2) Psycho & Spaider vs Mini Máximo & Mini Psicho and ? & ?? and ??? & ???? 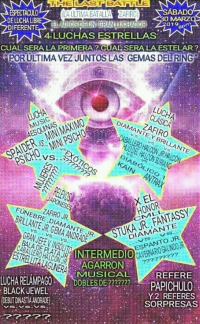 5) Diamante (Indie), Fantasy, Stuka Jr. vs ?, Cavernario Galindo Jr., Espanto Jr. Event Notes: Zaifro retirement show. Card order to be determined later.